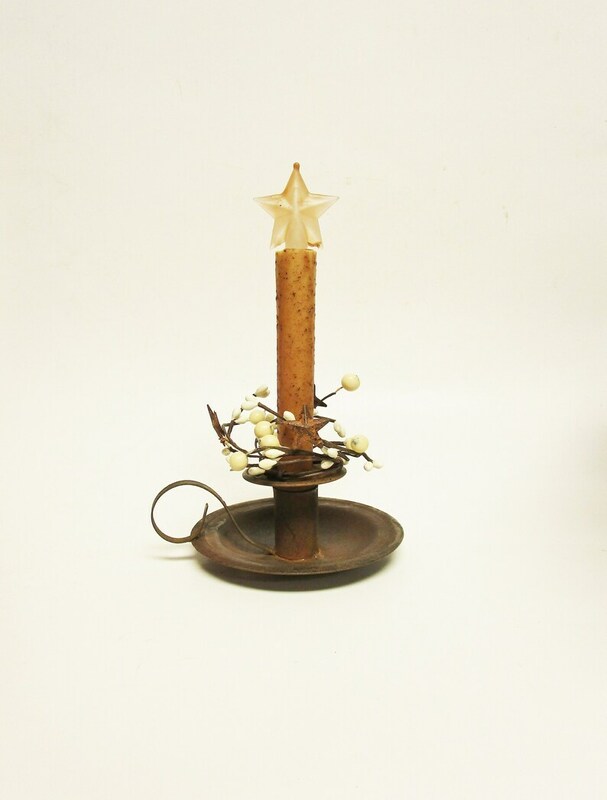 Here is a wonderful rustic Star Bulb Timer Taper Candle Arrangement to use as accent lighting on a shelf, cabinet or table. 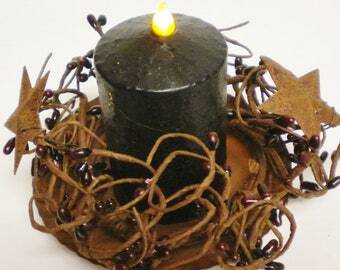 Nice decorative Candle for lighting up a dark area in almost any room. 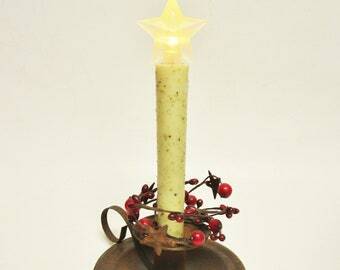 The rusty tin Candle Holder has a loop handle and is accented with a pip berry ring that has rusty stars. 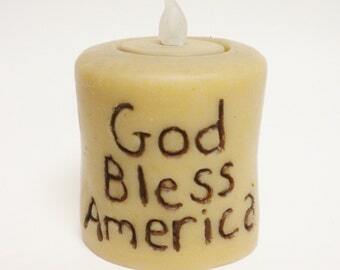 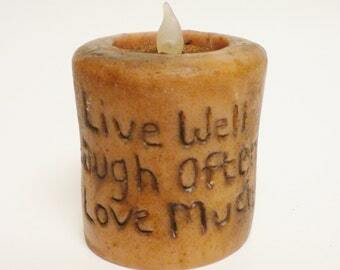 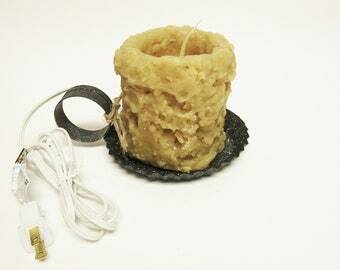 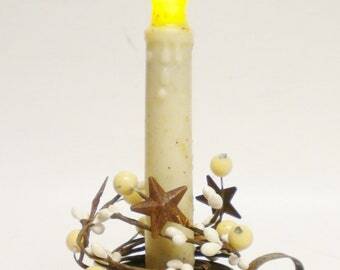 The grubby wax dipped battery operated Candle has realistic flickering light. 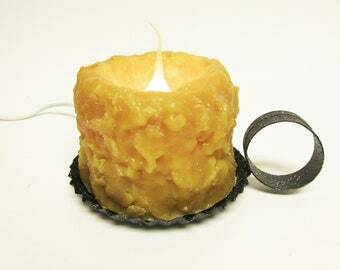 Candle requires two AAA Alkaline Batteries (not included). 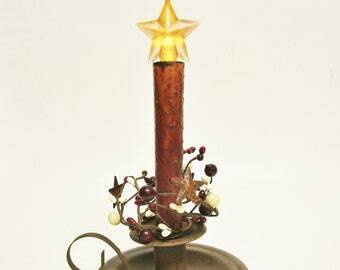 To insert the batteries gently twist and pull up on the Star to open tube, insert batteries and depress on/off switch (see images). 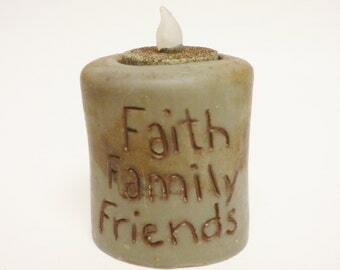 Measures approximately 8 1/2" H x 4 1/2" Diameter (5 1/2" including handle). 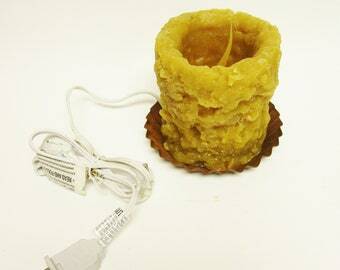 Intended for Decorative Use. 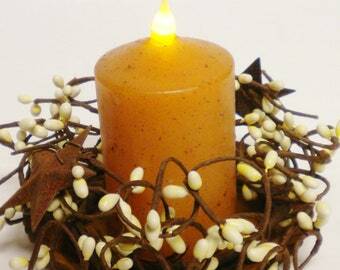 Beautiful rustic Candle Arrangement for many styles of home decorating such as Cottage, Country, Farmhouse, Primitive and More!